We are very happy to invite you to the Madhya Pradesh Vikalp Sangam (a gathering of various organizations and individuals who are engaged in or want to engage with different types of alternatives to the mainstream development) that would be held from 18th to 19thSeptember 2017at Development Alternatives, Orchha, Jhansi. The special focus will be on Bundelkhand region as it has become synonym for drought, distressed and poverty. This gathering is a part of the larger process of Vikalp Sangams (Alternatives Confluences) that is being organised in various parts of the country over the next few years. 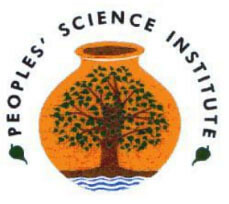 The basic idea of the Vikalp Sangam is to have regional, and at a later stage possibly national, gatherings to bring together initiatives focused on practical alternatives in different fields such as nature and natural resources, education, health, crafts, media, justice, livelihood, market/trade, art and culture, governance, etc. We hope that these gatherings will be platforms where we can constructively challenge and learn from each other, exchange ideas and materials, celebrate cultures of hope and become a strong political force. So far 6 regional Sangams (Andhra Pradesh, Tamil Nadu, Maharashtra, Ladakh, Kerala etc.) and 3 thematic Sangams (Food Sangam , Energy and Youth Sangam) have been organized. For a process such as this to be fruitful and meaningful, it needs to be collectively shaped and co-created. Because of your similar vision and practices, your participation in this event will be valuable. We sincerely request and invite you to be part of this process, and hope that one or two key members of your organization will be able to make it to the Sangam. We also encourage you to invite community representative whose stories need to be told. Due to budget constraints, we will not be able to cover travel, board and lodging costs of the organization staff but for community representatives. We will be happy to take care of the hospitality at the venue. The event will be hosted at Development Alternatives, Orchha, near Jhansi (closest railway station is Jhansi). We would be sending you the concept note and also other details soon. A more detailed note on the framework on alternatives will also be circulated among participants later. This is to request you to block these dates and also inform us who all would be participating from your organization.